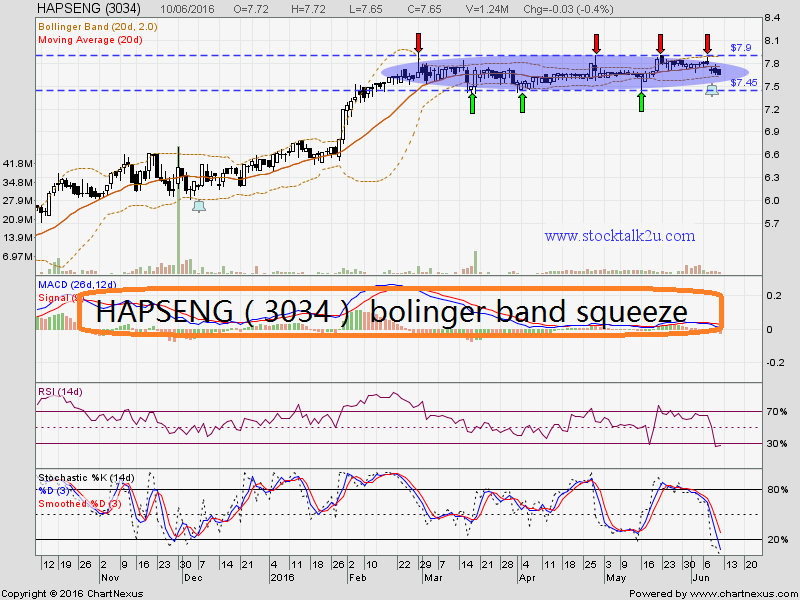 HAPSENG forming bolinger band squeeze since Feb 2016. Will it breakout the resistance & go higher? Stochastic %K pending BUY call. 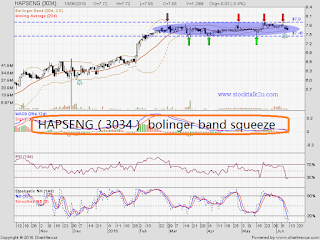 If able breakout RM7.90, another new high record been form. Immediate support @ RM7.45 level. Subsequent support @ RM7.20 level.